We review the top 5 stock options trading advisory services. Puts, Calls, Strike Prices, Derivatives, Bear Put Spreads, Bull Call Spreads – It would take months to learn and understand all this jargon, and this is not even the hard part. Stock options can provide a great deal of flexibility to traders and investors, whether the market or the underlying asset moves up, down or sideways, you can trade and make money. Another amazing feature in ‘Stock Options’ is the ‘Massive Leverage’ you employ in your trades. Most equity share prices move a few points up or down each day, but options contracts for the same can 2x or 3x in value or expire worthless within the same time frame. Leverage is a double-edge sword, it can make or break your trading account with just a few swings in the market. Learning and understanding the inner workings on the derivatives market can take months or even years, but you don’t have to go through much of that if all you are looking for is to make money trading them. If you have a basic understanding of how the stock market works and a simple working knowledge of ‘Stock Options’, you should be able to copy the trades of others, effortlessly. There are numerous ‘Stock Options Picking Services’ run by experienced traders, analysts and risk management professionals, who can give you alerts on which options contract to buy or sell, at what price and at what time. These services are structured in a way that you won’t have to do any analysis or research of your own, all you have to do is ‘Copy & Paste’ the trades you get and follow the instructions ‘to-the-point’, and you’ll have a very good chance of turning a profit, if you can pick the best stock options picking service. Always opt for a ‘Free Trial’, request a trial if there isn’t anything displayed on the website. Make sure the ‘Options Advisory Service’ displays their trading performance accurately in a historical tracksheet. Check for user / customer reviews by searching “Signal Services Name + Reviews”. We have worked and researched multiple options advisory services over the years, and in our experience these are the best stock options advisory service. If you’ve been actively searching for ‘Options Signals Services’ chances are that you’ve already heard about this service. Options-Intelligence is one of the most reputed advisory services at the moment. They deliver alerts weekly and monthly via multiple mediums, Twitter, SMS & eMail. The first sign of reliability for any signals service is a ‘Free Trial’ option and an‘Updated Tracksheet’, Options-Intelligence has both mentioned on their site, which means you can subscribe to their signals and check their performance for 30-Days without risking any money. They claim to have a 77% win rate on 3425 trades over 15 years, which can beverified with their ‘Track-Sheet’. If you are getting started with options trading, this is definitely a service you should consider. Ranked second on our list, SteadyOptions is another brilliant service that helps subscribers trade options with high levels of accuracy, without having to know anything more than the basics. It also provides guidelines on risk and financial management, to ensure that the risks you assume don’t destroy your accounts entirely. They provide 3 unique strategies to choose from, it depends on your portfolio value, risk profile and target returns to select the strategy best suited for you. Steady Options – In this strategy they provide trading strategies which are non-directional, mainly meant for active traders with a portfolio in the range of $10,000 To $100,000. Members can conduct 10 – 15 trades per month and 4 – 6 therein being open trades. In this strategy, the targets per month are expected to range from 5% to 7%. Anchor Trades – This is mainly a long term strategy that aims to generate positive returns annually. It involves purchasing ETFs correlated to the S&P 500 and then hedging the position with S&P 500 Put Options. They provide 4 to 5 trades per month and 3 to 5 ETF positions. This strategy is meant for those with $50,000+ in their accounts. Since its inception, the Anchor Trades strategy has produced 10.1% CAGR including commissions and fees. Steady Condors – Options trading is all about risk management, you can generate good returns for 10 months in a year, but 2 losing months in the market can take it all away. This is often very stressful and make options trading unreliable and extremely volatile. This is a strategy tailored towards mid term investors, it involves 2 to 3 hedged non-directional trades managed by Greeks. 2 to 4 trades per month, with targets of 2% to 3% returns each month. 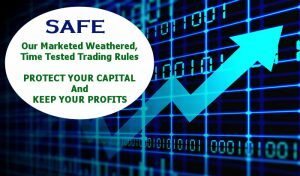 This is a service catered specifically towards experienced traders, they don’t put the extra effort to spoonfeed customers, so when they send out an alert, you must be able to decipher and act on it on your own. 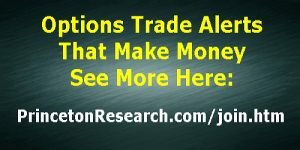 They generate alerts from a wide range of strategies to cover all types of events such as ‘Merger-arbs’, ‘Earnings’, etc, and you can get access to alerts from all these strategies from $350 / Month, making it the most expensive service on this list. There aren’t many reviews or any track-record displayed, so please make sure you do your due-diligence before joining. InTheMoneyStocks provides signals for day trading, swing trading and options trading, and they claim over 2000% returns from all of the above. This maybe just an exaggeration, but it isn’t impossible considering how much these guys trade and the level of accuracy for each signal. They have a track sheet for each service and strategy, with details on every trade they’ve taken, but some people have questioned their methods on reporting trades and results as they happen. Apparently, the head trader does not abide by his ‘Stops’, which results in varying performances. In Spite of this, the winning signals almost always outweigh losers, so this is definitely something you can give a try. It is out of sheer modesty that we’ve decided to list our service towards the end. Just like you, we have spent hours hunting for the right signal providers, after trying our luck in numerous places, we decided it was time to start our own. Founded in 1997, Princeton Research has developed various strategies in balanced equity investments, ETFs and Stock Options, which allow the user to generate good returns irrespective of market conditions. 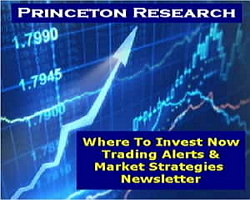 Princeton has a ‘Free Trial’ and also list ‘Recent Trades’ to verify performance. It gets over 100%+ returns each year and has recorded over 220% in 2013. SaaS Software-as-a-service Company iSign Media Solutions Inc.